The Iditarod Books the Trail program has been running for several years now. Schools in the lower 48 and others team up with sister schools along the race trail to deliver much needed books to these remote schools. Recently the Anchorage Public Library has joined our efforts so that even more books can be enjoyed by school children without convenient access to such a broad spectrum of reading material. Ready to Read is based on the six basic skills needed to begin reading: print awareness, print motivation, narrative skills, phonological awareness, letter knowledge and vocabulary. 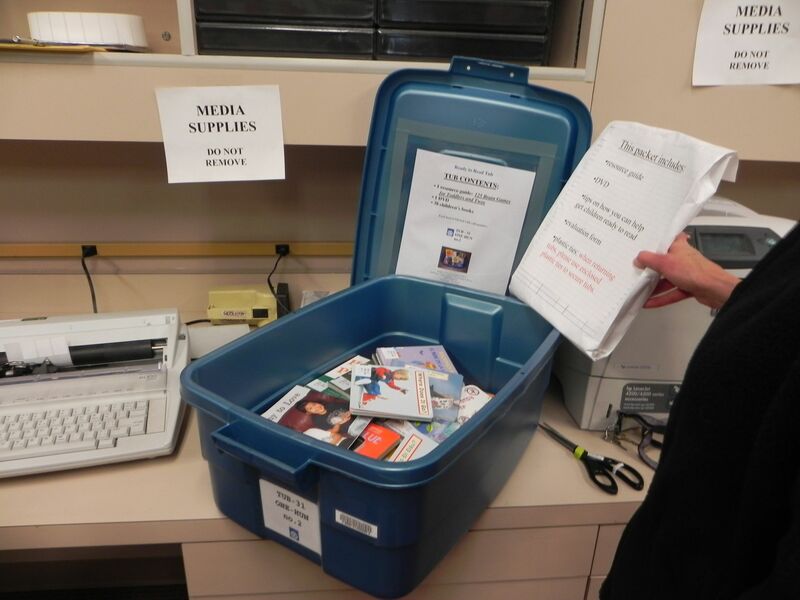 To encourage the development of these skills the Anchorage Library has created hundreds of tubs of books containing 30-50 board and paperback picture books, a resource guide for the adult childcare provider on a six-week renewable loan. In addition the program provides bags in which the children can take the books home to share with their families and “lapsit” bags that are thematically created including a music CD and a puppet. That sounds like a perfect experience all ready to be delivered. I was understandably excited when I arrived to see shelves and shelves filled with these tubs and tables covered with stacks of books being arranged in themes and it brought back wonderful memories when I spotted some of my favorites. It will be my job this year on the trail to connect the Books on the Trail with the teachers they have been created for and get the word out there about the Ready to Read program. Being an English teacher myself I am very excited to be a part of the connection. If you and your school would like to part of this effort, contact Diane Johnson, Director of the Iditarod Education Department. Editor’s Note: Attention Teachers who are located in Alaska, you can get involved with the Ready to Read program. 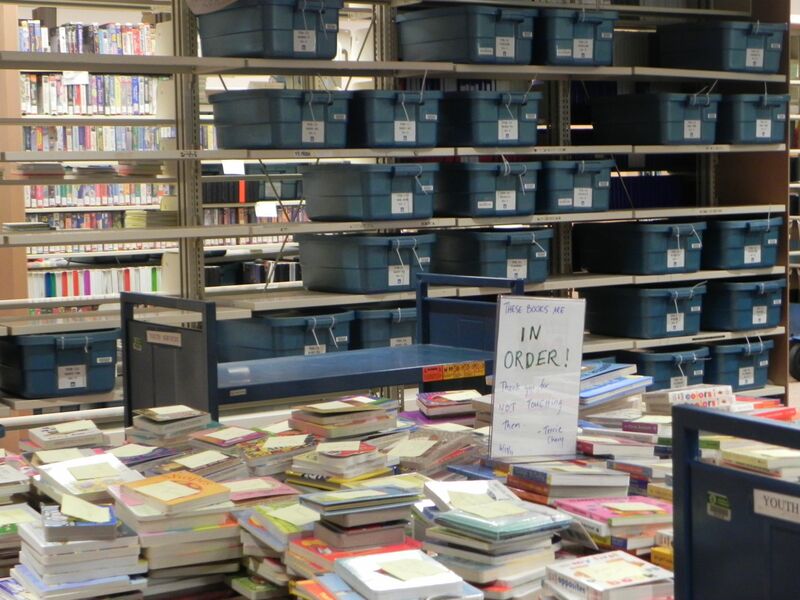 The Anchorage Public Library has a “Ready to Read Resource Center”at the Z.J. Loussac Public Library. This is a statewide resource for anyone who works with infants and toddlers anywhere in Alaska. For additional information and to find out how to get a free reading tub to your community, click here. Visit the Anchorage Public Library website at this link.